It has been a day of mixed fortunes for Irish athletes at the European Championships in Gothenburg. 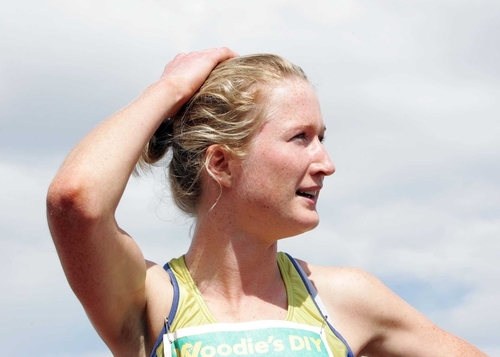 Joanne Cuddihy finished last in a tonight's European Championships 400 metres final. Cuddihy, who smashed her personal best to unexpectedly earn a place in the last eight, had no answer to Vanya Stambolova and five other east Europeans and finished in 51.46 seconds. Stambolova, the pre-race favourite and current European leader, struggled in the final 20m but held on to win in 49.85. Russian duo Tatyana Veshkurova and Olga Zaytseva were rapidly closing on the Bulgarian, but had to settle for silver and bronze with times of 50.15 and 50.28 respectively. Earlier in the day, world indoor 60m champion Derval O'Rourke moved confidently into tomorrow's 100m hurdles semi-final in 13.02. O'Rourke should not have been competing in Gothenburg because of an injury problem which troubled herself every time she hurdled. But Limerick physio Gerrard Hartmann - acknowledged as an expert and also consultant to other world class athletes including Paula Radcliffe - worked another miracle. However, 25-year-old O'Rourke will not need reminding that six of her rivals dipped below the 13-second barrier, the fastest mark coming from Susanna Kallur. Kallur - Sweden's world indoor bronze medallist behind O'Rourke in Moscow - tops the European rankings this year and produced a winning time of 12.70. Alistair Cragg has qualified for the final of the men's 5000 metres after finishing in third place in his semi-final. Cragg clocked a time of 13 minutes 50.12 seconds. After setting the pace in his men's 800m race, Dave Campbell slipped backwards in the sprint for the line, placing sixth in 1:48.70. Thomas Chamney, fifth in his heat in a time of 1:50.12, also failed to progress. Meanwhile, both Roisin McGettigan and Fionnuala Britton also failed to progress from the heat stages of the women's 3000 metres steplechase. McGettigan was desperately unlucky not to qualify from her heat. She finished in in fifth place in a time of 9:47.37, but due to the slow nature of her heat, she failed to qualify. The fastest 12 runners from both heats go forward to the final, which left McGettigan in 13th place overall and out of the final. Britton was 11th in her heat in a time of 9:49.20. 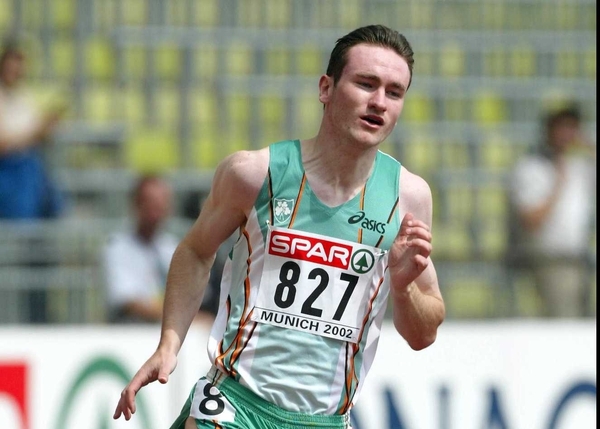 Paul Hession finished seventh in his 200m semi-final in 21.09 and was no match for the speed of British winner Marlon Devonish, who clocked 20.60. Four times Irish champion Ciara Sheehy pulled up lame on the bend in her 200m heat and failed to finish. Anna Boyle, fifth in 23.94, was eliminated in her race.